Research finds a racial gap when it comes to the risk of having a stillborn baby. African American women are twice as likely to suffer a late-pregnancy loss as white women, says a study published in the American Journal of Obstetrics & Gynecology. Among black women, 22 out of every 1,000 pregnancies ended in stillbirth, compared with 10 per 1,000 among whites and 10.5 per 1,000 among Hispanics, U.S. National Institutes of Health researchers found. The death of a fetus after the 20th week of pregnancy is considered stillbirth (though this varies by state). Health concerns (such as high blood pressure and diabetes) and labor-related conditions (like placenta or umbilical cord problems) were cited for the larger share of black women's stillbirth risk compared with white and Hispanic women. 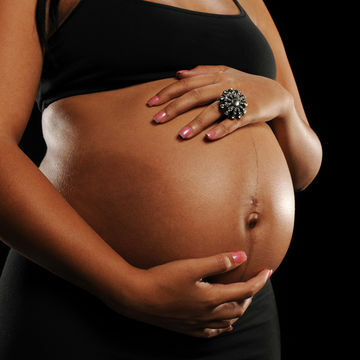 Among the most common causes for stillbirth are birth defects, poor fetal growth and problems with the placenta. However, absent these factors, the reasons behind some stillbirths will always remain a mystery. Experts urge women to instead focus on protecting against such a tragedy. Some of our proactive tips include monitoring your baby's kicks and avoiding drugs, alcohol and drugs. Stillbirth can also cause serious mental stress for parents, so please seek out emotional support from a trusted person or professional to help you cope with such a loss. The organizations First Candle and the March of Dimes are good places to start if you're looking for help or more information.